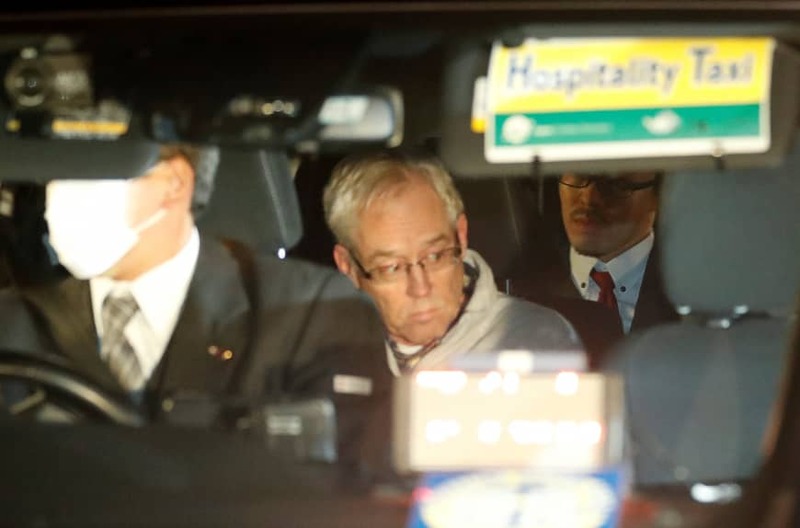 Greg Kelly, a close aide to Nissan Motor Co.’s ousted chairman Carlos Ghosn, denied the allegations against him in a statement issued by his lawyer following his release on bail Tuesday night from a Tokyo prison, where he had been held for over a month. “I expect that the trial will start soon. … I believe my innocence will be revealed in the trial,” he said in the statement in response to the indictment accusing him of conspiring to understate Ghosn’s remuneration for years in securities reports. 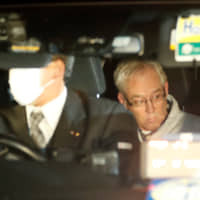 Looking tired after his 37 days of confinement, the former Nissan representative director left the Tokyo Detention House around 10:45 p.m. on Tuesday. Wearing a white jacket, he walked slowly, with his hands behind his back. His gaze was cast downward and he climbed into a waiting taxi without acknowledging the multiple camera flashes and questions thrown at him by the media. After leaving the facility, Kelly was admitted to a hospital in Ibaraki Prefecture. He suffers from spinal stenosis and is expected to stay in the hospital until the end of the year, according to sources close to him. Under the conditions of his release, the American executive cannot travel outside of Japan and his movements are limited to certain areas within the country. The Tokyo District Court earlier rejected prosecutors’ appeal against its decision to set a ¥70 million ($630,000) bail. Kelly’s wife, Donna, had issued a video statement in which she said her husband’s medical symptoms had been “deteriorating” while in detention. Symptoms of Kelly’s ailment include numbness, tingling and shooting pains in the extremities. He was supposed to undergo surgery Dec. 7 in Nashville, Tennessee, she said. “We were told by his doctor that if he did not have the surgery within two months, these symptoms could become permanent,” she said. Nissan has instructed its employees not to contact Ghosn and Kelly amid ongoing investigations by prosecutors into the alleged financial misconduct, sources close to the matter said Wednesday. CEO Hiroto Saikawa on Wednesday told reporters the contact ban was introduced as the automaker’s employees are “unsettled,” but refrained from elaborating on the measure believed to have been announced through an internal memo. Under the ban, employees are prohibited from communicating with Ghosn, Kelly and their lawyers and are not to respond even if they are contacted. Employees were asked to immediately report to the company if they are contacted by the parties, the sources said. Kelly was indicted this month along with Ghosn for allegedly understating the former chairman’s remuneration in securities reports over the five-year period through fiscal 2014. Both have denied the allegation. Kelly was arrested Nov. 19 along with Ghosn, who remains in detention. Prosecutors believe Kelly instructed an executive in charge of legal affairs and other officials to make false statements about the then-chairman’s remuneration in securities reports. Ghosn allegedly only reported roughly ¥5 billion of his ¥10 billion compensation during the five years through March 2015. Ghosn and Kelly were served with fresh arrest warrants on Dec. 10 for the alleged understatement of an additional ¥4.27 billion in compensation over the three years through March this year. They were indicted Dec. 10 on charges of violating the Financial Instruments and Exchange Act. Both men, again, denied the allegations. With the second arrest warrants, the court allowed the detention of Kelly and Ghosn to be extended until Dec. 20. However, the court rejected prosecutors’ request for another 10-day extension last Thursday, paving the way for Kelly to be released on bail. Although the court ruling also applied to Ghosn, his release was not imminent as prosecutors served him with a third warrant Friday for aggravated breach of trust. Prosecutors allege Ghosn made Nissan shoulder personal investment losses worth ¥1.85 billion from a derivatives contract with a Japanese bank. On Sunday, a Tokyo court approved Ghosn’s detention until Jan. 1.